Having an ATM machine that lets you pinch and zoom bits of the display sounds like a solution hunting for a problem and meetings with NCR revealed an entirely different way of thinking about the job specification of a cashpoint - the viewpoint of the cloud. ATM machines are a very prominent and obvious case study for migration to the cloud. They are old, they have a tough security environment to stand up in, that can include hacking by forklift truck, and features that suit one person in the queue might not be so handy to the next guy in the line. That list of tough issues is enough to make even a hardened cloud sceptic give up the idea of running everything locally, indeed, banks have a much easier time running a cloud environment for advanced, modern ATMs because cloud gives them the ideal environment in which to run the middleware they need to get from your finger on the touchscreen, to your transaction on a banking system that may be reaching its fourth decade in operation. Middleware is an old, pre-cloud concept, however, the new, fintech way of looking at this stuff is to realise that there’s no 1-to-1 map between fingers on screens and load on the middleware to get the answer converted, validated, secured and returned. Vertigo sets in, though, once you think about that space between the chips in the physical machine, and the repository of funds you are drawing on. Not only can banks save money by letting cloud middleware take the strain off old, core systems, they can also respond to widely differing user profiles, by effectively enabling the ATM machine to be taken over by completely unrelated middleware. Hold back on those hacker fantasies for a minute, and look instead at the global survey of uptake mentioned in a BBC article. One conclusion is that having 20 ATMs within walking distance, all branded to and tied exclusively with the bank whose branch they inhabit, is something of a European conceit. Outside of the first world, ATMs are as likely to be unbranded, or unrelated to your bank, as not. 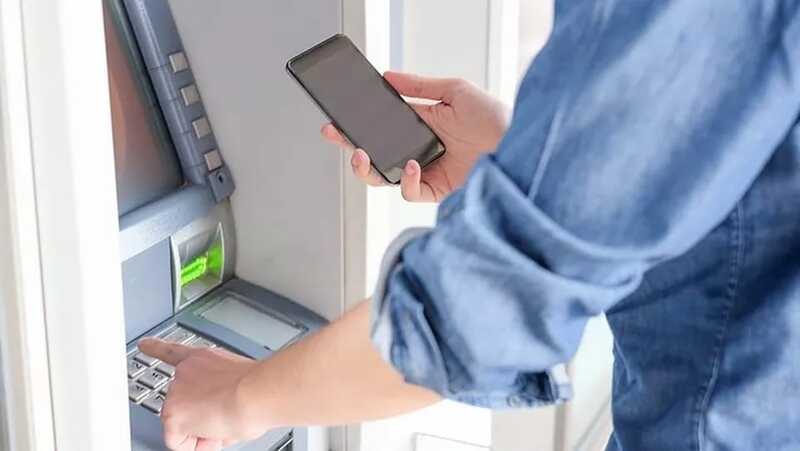 In this scenario, you might well do 90% of your ATM transaction with your smartphone, minimising time at the machine and allowing you to march up, flash the phone, grab the cash and leg it. Admittedly this is a somewhat paranoid type of financial interaction. Even demands like combatting card theft or copying are possible with new-generation cloud-enabled cash machines. Even the early prototype from NCR was capable of lockdown, where presenting a card flagged as stolen by the account admin would make the ATM close a heavy alloy rotating shutter over the card slot, swallowing the card into an internal store. Only the most foolish of criminals would try to hang on to the card or interfere with the machine with a card guillotine like that in the feature list. When you think about the way that cloud ATM middleware enables the experience to be customised, it’s not very likely that “close trapdoor” buttons will be popping up in your e-card online management suite any time soon, this is still a function where you are 10 or 20 virtual machines away from the actual hardware. That does not mean, though, that the field will be sitting still, or that there are no competitive advantages to be gained from taking this allegedly outmoded form of money delivery and including it in your questions for a fintech relationship provider. After all, even just two years ago nobody would stand for “bank” as a role being usurped by a phrase as ungainly as “fintech relationship provider”, and yet you just read it without turning a hair.